Come join your fellow Branch members for an afternoon of conversation. After a brief Annual General Meeting, our guest speaker will be Mags Gaulden. Her topic will be “The Power of DNA”. Light refreshments will be served. To help with cleanup, please consider bringing your own coffee mug! Please confirm your attendance by April 3, 2019 at the Branch email – carletonuel@hotmail.com – or by calling the Branch Secretary at 613-824-0980. Mags Gaulden is a Professional Genealogist specializing in Genetic Genealogy as founder of Grandma’s Genes in Ottawa. Growing up in a family full of family historians, Mags was primed to become a Genealogist. After earning her Bachelors Degree from Columbia College, she began to work her own Genealogy as a “hobby”. This 30 year “hobby” eventually lead her to a Leader role with WikiTree, where she currently leads: the The DNA Project, The United Empire Loyalist Project and the British Home Children Project. She also leads the Templeton and McElmoyle Name Studies and the McElmoyle DNA Project. Work with WikiTree led to Mags starting Grandma’s Genes in 2016. Mags is a Genetic Genealogy Lecturer, Blogger and a Social Media Maven; her website is grandmasgenes.com. She serves as Admin for Facebook groups including the International Society of Genetic Genealogy (ISOGG) FaceBook Group. 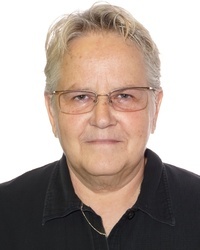 She is incredibly honored and pleased to announce that she is the Genetic Genealogist for, and part of, the Canadian Casualty Identification Team for the Directorate of History and Heritage within the Department of National Defense Canada. The Team will be working to recover, identify and reunite the remains of formerly missing Canadian Service men prior to 1970 with their families for burial.